By the humility and gentleness of Christ, I appeal to you… (2 Corinthians 10:21). If Luther’s Reformation made “every man a priest,” then Zuckerberg’s revolution has made “every man a Shakespeare.” In times past, a writer had to learn the rules of writing; and a piece of writing had to survive the gauntlet of hits from editors, fact-checkers and publishers. No more. Now, anyone with a Facebook account or a blog can claim to be an expert. Yet a blog or a website does not a writer make. “That’s not writing,” Capote famously said of Kerouac, “that’s typing.” This could easily be said of many of today’s social media pundits. Stringing together adjectives does not constitute a narrative; and choreographing adverbs does not create analysis. True writing is found in tension and is seasoned by context—something sorely lacking from much of today’s Facebook pundits. A note to people who write posts warning against Christians getting involved in politics: by writing that warning, you have unwittingly violated your own premise. And a tip to people accusing those they disagree with of hating America or destroying the church: it does your argument no benefit to misrepresent and exaggerate the position of those with whom you disagree. But what concerns me most about the proliferation of writers and experts in the age of social media is not so much what is there as what is not there. In a word, humility. Writers should acknowledge that they don’t know everything. And they should show empathy when writing about the shortcomings of others when they consider their own imperfections. This should be especially true of Christian writers. And if humility doesn’t come naturally, then writers should try to learn it through their experiences. I know something about learning humility. When I arrived at the White House in 2001, I was a young man in a hurry. I had all the answers on all the political issues of the day. Assertive and ambitious, I set myself the task of being heard, being seen, being important. Yet, to my surprise, no one cared. In a sea of political talent, I found myself floundering. And I couldn’t find my bearings. During my time at the White House, as I continued to drift amid the stormy waters of internal politics, I got angry. For me, the line between ambition and aggression became blurred. The more people ignored me, the angrier I got. I morphed into someone I barely recognize now. I spent time on email fighting with girlfriends, arguing with colleagues and, most embarrassingly, complaining to superiors about perceived slights. Here I was working at the White House and yet I found reason to complain about it. I had been victimized by politics, I believed. I had not been given jobs I thought I deserved or responsibilities I thought I could handle. In my view, I had been wronged. Misled. Cheated. And I said as much to anyone who would listen or read my emails. Then, something unexpected happened: I asked God to change my circumstances; instead, He changed me. I left the White House angry and defeated. To my surprise, a season of blessings soon began. I met my future wife; we got married; and we became parents for the first time. No one can live through these types of blessings without being changed. Like an antibiotic, being a husband and a parent forces the disease of selfishness out of your system. And being a parent teaches nothing if not humility. Not a day goes by that I don’t feel inadequate; not a moment elapses that I don’t wish I knew more about parenting. But knowing you are not good enough is in fact… good enough. As Paul writes, Christ made it clear to him that, “My grace is sufficient for you, for my power is made perfect in weakness” (2 Corinthians 12:9). Before long, I began to look back on my White House time not as days of failure but as days of preparation for this new season in my life. Failing in Washington proved to be the biggest success of my life. Then, in 2005, I began researching and writing a book about Dwight Eisenhower and civil rights. I had always maintained an interest in Ike’s handling of the 1957 Central High School integration crisis. But as I began to research it, what started as a case study of an issue (civil rights) transformed into a character study of a man (Eisenhower). What I found is that Eisenhower possessed an ambivalent record on race. For much of his life he had used racist language and took a dim view of the abilities of African-Americans. But then, at the Battle of the Bulge in 1944, Eisenhower needed extra troops at the front. And so he offered African-American soldiers the opportunity to fight alongside white soldiers. He would never be the same again. Unburdened by his past and liberated by his experiences with African-American soldiers, Ike changed. By the time he served as President, he signed civil rights legislation and used the 101st Airborne to enforce the court order of integration at Little Rock Central High. By the time he became an ex-President, he was urging his party to do more on civil rights and endorsing African-American candidates for office. I learned something very profound from studying Ike: a man’s life can’t be seen by zooming in on one picture; it must be viewed with a wide view, taking in all the color and context of his life’s entire panorama. Only then can we see that a man who once told racist jokes in his younger days would help fight racism in his later years. 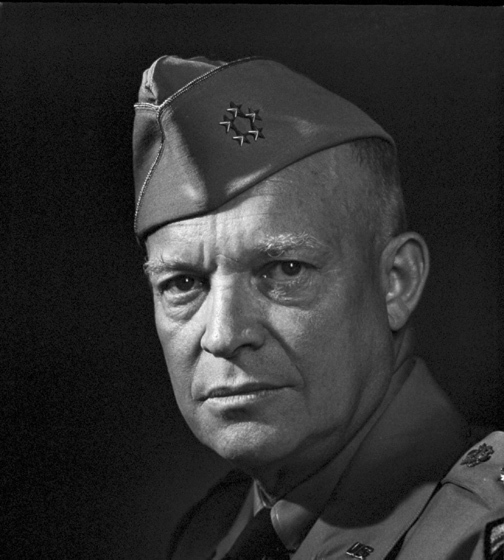 And Ike’s transformation created a profound sense of humility inside the man himself. Once, when confronted as President by an African-American aide who questioned his previous racist views, Eisenhower referred to the aide being the son of a minister. “Then you know about forgiveness,” he said to the aide. A world of wisdom exists in that confession; and we would all be better off to reflect on that humility before banging out our next essay on Facebook. After writing the book, my wife and I continued to have kids and God continued to mold me. And His dreams continued to replace my dreams. No more do I wonder about going back to Washington; now, I just wanted to finish work in time to be home with the family. No longer do I think my opinion matters to others; now, I just want my opinion to matter to my children. Part of the proliferation of social media pundits stems from the expectations that we too often give to our children. For too long too many parents have encouraged kids to “be somebody” or “follow a dream.” As a result, kids enter the world thinking that they represent something special or possess something special to say. Ironically, they do; but not in the way they have been led to believe by years of coddling parents and teachers. They are all a part of something special in that God is using them for His plans. In the book of life, our individual parts are but a few lines. God’s part is eternal. We should be glad that He is writing the story and not us. And we should reflect that with a humble tone in our life’s aspirations and in our public utterances. Still, I sometimes think about my time in Washington; not about how Washington wronged me, but how wrong I was about Washington. As a parent, I see the world differently now. Each day, my wife and I try to teach our children basic principles: share credit, take responsibility, look for the best in everyone. Ironically, each of these is discouraged in our politics. For example, what do people love to find the most when watching politics? A flip flop, which is where someone once said something different than now. What does this say about the character and culture of Washington? Why is it we expect the best from our kids and the worst from our political leaders? Still, politics does play an important role in our society. But how should people of faith view politics? James Davison Hunter and others have encouraged people of faith to “sit and listen” for a “season.” But these well-intentioned writers fail to appreciate that America remains a republic; it requires involvement from the citizens. If believers “sit and listen” then non-believers will stand and act. We live in a very different world than that of the early church. The New Testament was written under the shadow of Roman oppression. The seven churches in Revelation were even given special encouragement messages from Christ as they faced pressure to admit that “Caesar is lord.” And what happened years later to help stop the persecution of Christians? The Emperor Constantine’s vision from God. Yes, Christians persevered in the face of persecution. But the government changed too. Politics mattered then and it matters now. 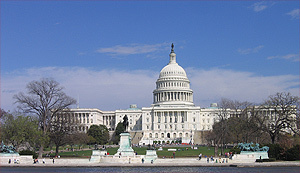 In America, politics in many ways is positioned upstream of culture. So it does matter what happens there. Martin Luther King, Jr. understood this keenly and pushed for not just personal conversations about race, but for changes in national law. So people of faith should engage in politics and should express their opinions. But how they do so is as important as what they say. We should speak in a way that warms the cold places of life, rather than in a way that stokes the fires of anger. And people of faith start by speaking and writing from a place of humility. Ask questions, don’t just announce answers. Lower your voices and raise your sights. And above all, know that you and your opinion represent a very small part of God’s universal plan. And what about our political leaders? What if they too began practicing a politics of humility? Presidents from both parties tend to hide behind semantics and excuses when things go wrong. Imagine if a president said, “Yes, I messed up. And I am going to learn from this and make it right.” True, the voters might not appreciate this humility; especially voters who supported a different candidate. But what does that say about us as voters? In the end, we could all use a touch of humility in our lives. As a conservative, I have long subscribed to Edmund Burke’s belief that the “individual is foolish” but the “species is wise….” We should be careful about claiming that we possess special insight that generations of church leaders before us did not have. We should seek ways to extend God’s grace, yes. But we should do so with a humble spirit. After all, as believers, we know that grace covers sin; but shouldn’t it also cover differences in politics or religious doctrine? If so, then we should all be more humble in what we say and how we say it. Looking back ten years ago, I’m embarrassed by some of the things I said and wrote. But I’m grateful that those remain in the past. I rejoice that my career has proven that successes can be failures and failures can be successes. No, I didn’t get to do everything I wanted to do in Washington. And I’m grateful for that. I listened to God’s voice and followed him home to the broad, sunlit uplands of life with family, church and neighbors. As the wise and humble axiom says, I’m not who I want to be and I’m not who I ought be; but thank God, I’m not who I used to be. May it ever be so for all of us.